Join Mog for a fantastical night-time adventure with mousedogbird! 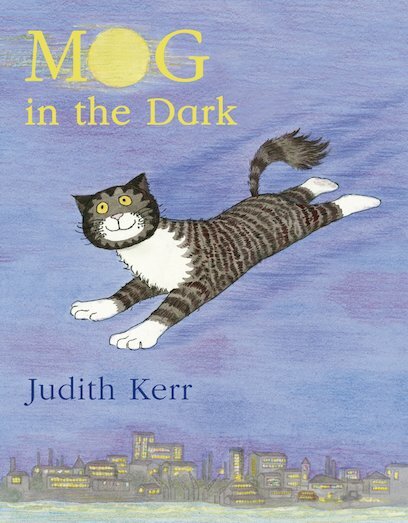 Mog sat in the dark. Mog thought in the dark. But the dark was not where Mog wanted to be. And who else was there in the dark with her? One night Mog’s imagination takes her on a hilarious twilight adventure to a land of fantastical creatures. But – true to form – all Mog really wants is her supper!